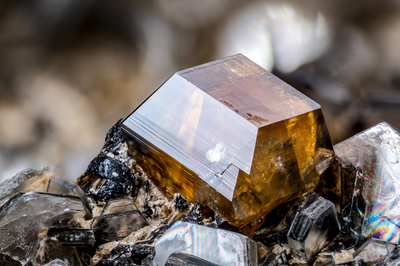 An orange crystal of anatase, with tetragonal bipyramide and ample pinacoid, with pseudohexagonal muscovite crystals. Collection and photo by Gianfranco Ciccolini. Nikon D750, bellows, Luminar 25 mm.